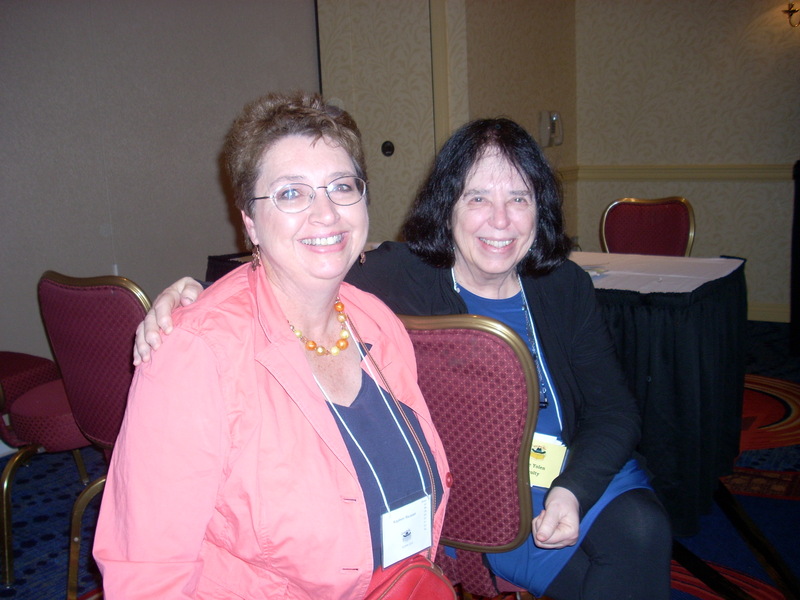 Jane Yolen and me at SCBWI conference in Ft Wayne. 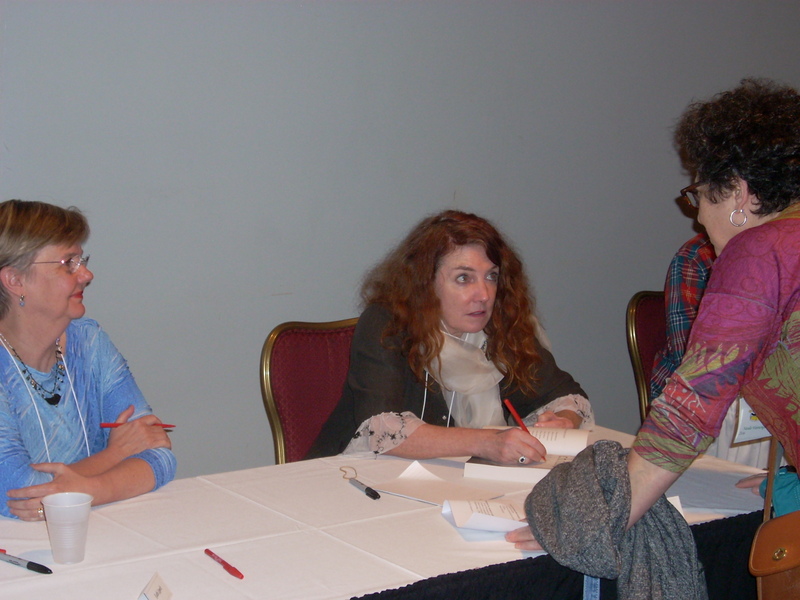 I recently attended a regional conference of the Society of Children’s Book Writers and Illustrators (SCBWI). It was held in Fort Wayne and was well attended with 300+ in Hotel Fort Wayne. 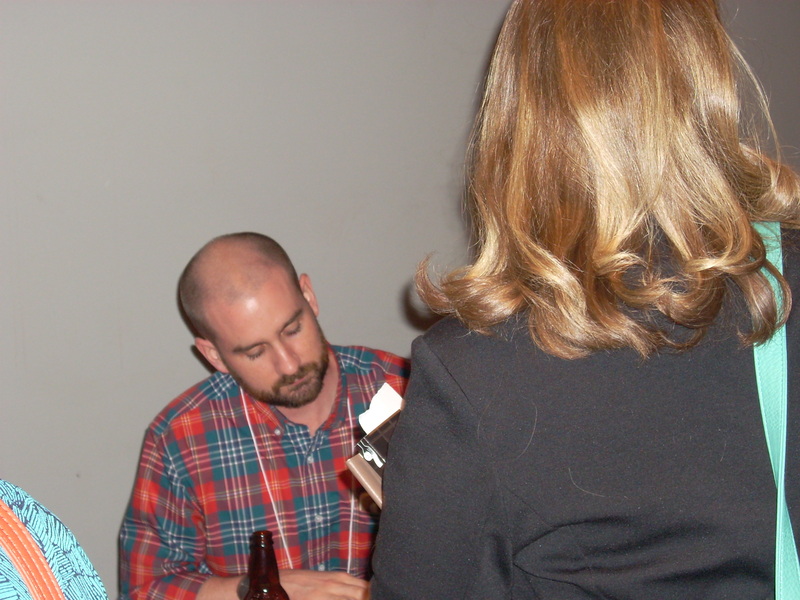 Author during book signing– Franny Billingsly, author of new novel, Chime. The speakers were top notch – Lin Oliver, Jane Yolen, Kirsten Cappy, Alice McGinty, Caldecott Finalist Peter Brown. She answered a myriad of questions prior to the conference for those of us who had never attended. I’ve posted photos of the conference. A highlight was meeting Jane Yolen, author of 300+ books and even has an award named for her! Her son, whom she writes with, Adam Stemple, was also there and they were so easy to chat with about their writing lives. Another highlight was listening to marketing ideas from Kirsten Cappy of Curious City. Curious City children’s book publicist Kirsten Cappy. I’m planning to implement some of them for my 9 non-fiction Middle Grade books. I also met other writers like Pat McCarthy whom I exchanged my Taylor Swift book for her Friends of the Earth title to add to my school library. 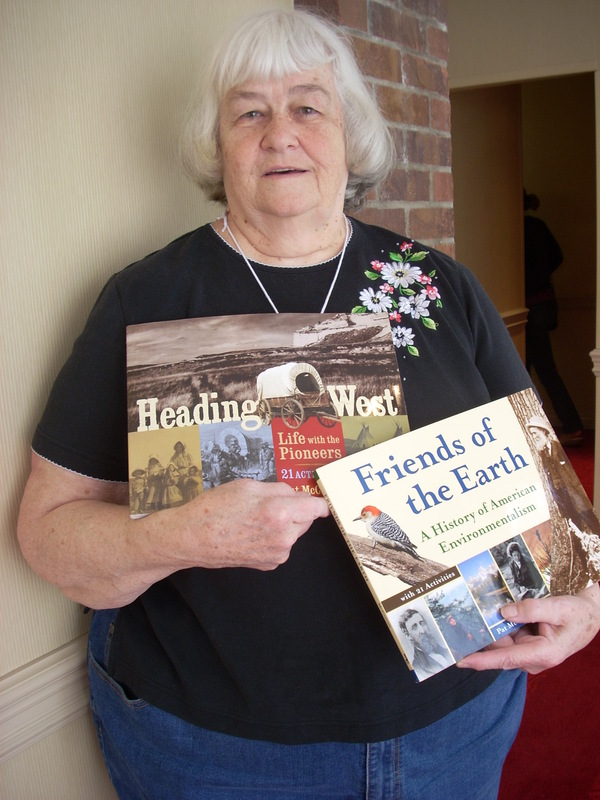 Author Pat McCarthy holding her books. 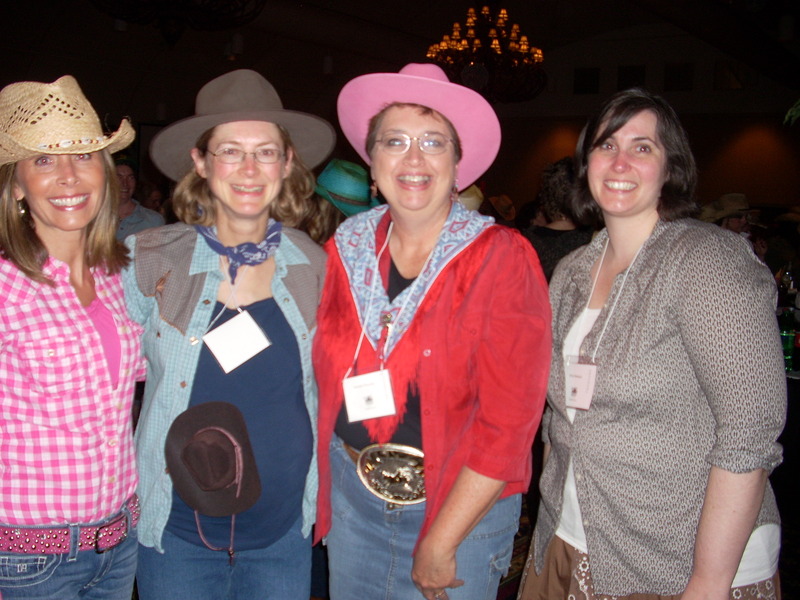 Lastly, a pic of the Wild West (theme for conference) costume contest. Check out Baby Bump’s tiny hat– he may have made an appearance by now! Members of the Ft Wayne SCBWI club. Have you attended a recent writing conference? Which one and what did you glean from it? Do you know of an upcoming conference you would recommend? Please share. Doris, maybe you’d like to join our local SCBWI group. Let me know if you want details. I’m sure you’d find it helpful. Thanks for the shout out! I’m so glad to hear how much you enjoyed the conference. Yeehaw – I love the photo of the pregnant belly cowboy hat – our youngest attendee! Kristi: I wish I had snapped a pic of you at the conference to add here. Hopefully people will go to your blog and see your fantastic work. If you’re ever in FW, lmk and maybe we can gather some SCBWI members to meet up. What fun! I am so jealous! I can’t wait to get involved in all those things. Thanks for blog and pictures. How incredible to meet Jane Yolen! It was great– I admit! It will be good to see you at our meetings. 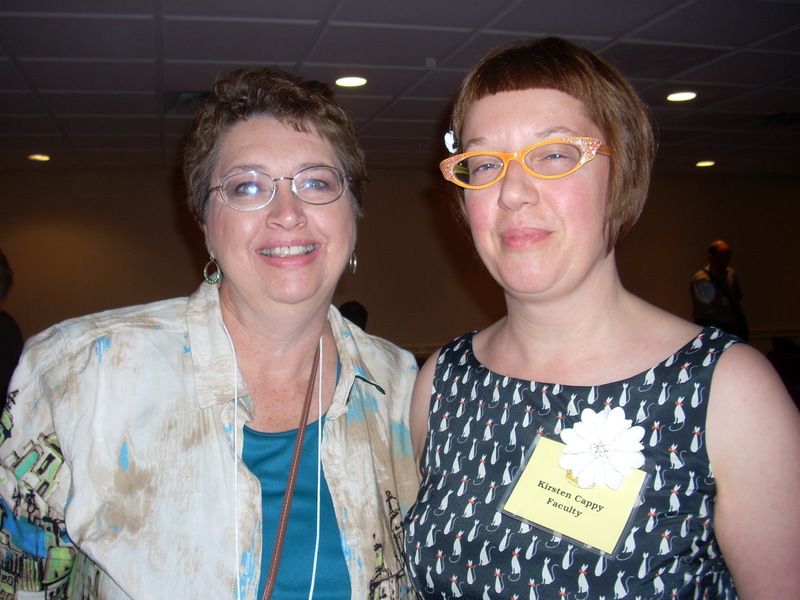 Hi Kay – I live in Warsaw and occasionally attend the Ft. Wayne writer’s group that you do. I’d love to join the Ft. Wayne’s SCBWI since I write YA and children’s books. How do I join? Will Ft. Wayne have another meeting like this one next year? It’s very exciting to see! Michelle: Hi! Great to hear from you! We have a meeting coming up so I’ll let the others know about your interest. If you could email me your email address, I’ll contact you there. kjreusser@adamswells.com. Glad to meet you here! It was a fun conference! Yes! I hope you can attend our meetings sometime! I wish I would have been aware of the conference. I really need to attend something like this. I would like more information. I am in the midst of a writing a Christian children’s book. It was really nice to read all about the conference. I wish I would have known. Thank you Have a wonderful day! Check out the SCBWI website and join it. That is the best way to find out about groups and conferences in your area. If you live near Ft Wayne IN, Let me know as I could connect you with some monthly groups.